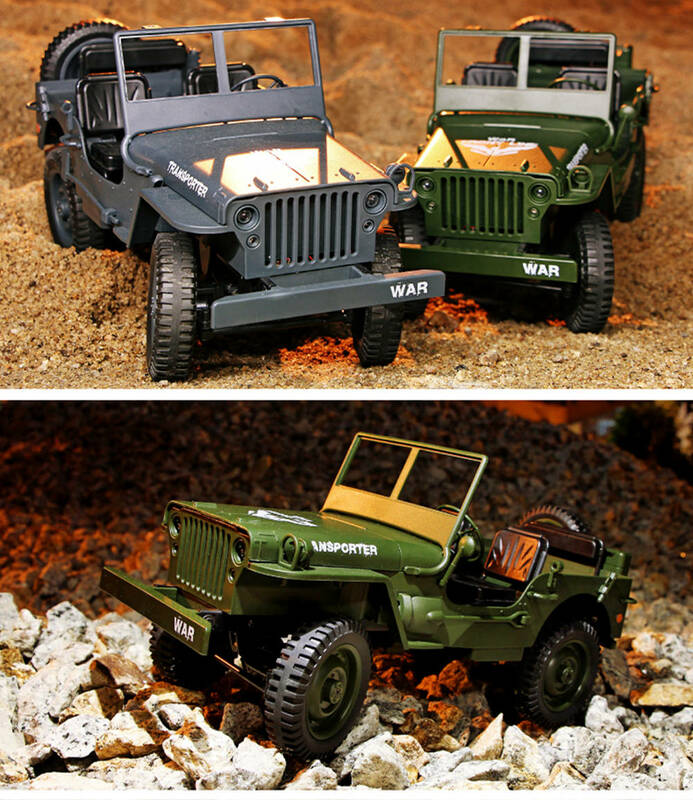 This JJRC Q65 Transporter-6 RC Car Military Truck is made of high quality and strong material with capacity in anti-collision and beat-resistance. 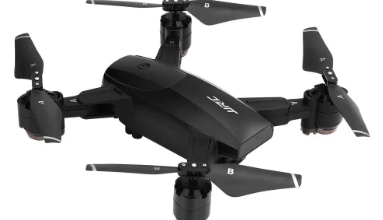 With a soft hollow rubber tire and professional shock absorbing system features great performance. 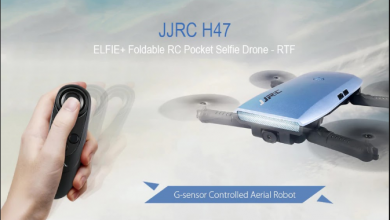 The high precision ESC is also equipped on the Car. You do not only have a chance to see the beautiful nature scene but also climb over the most challenging rugged terrain. 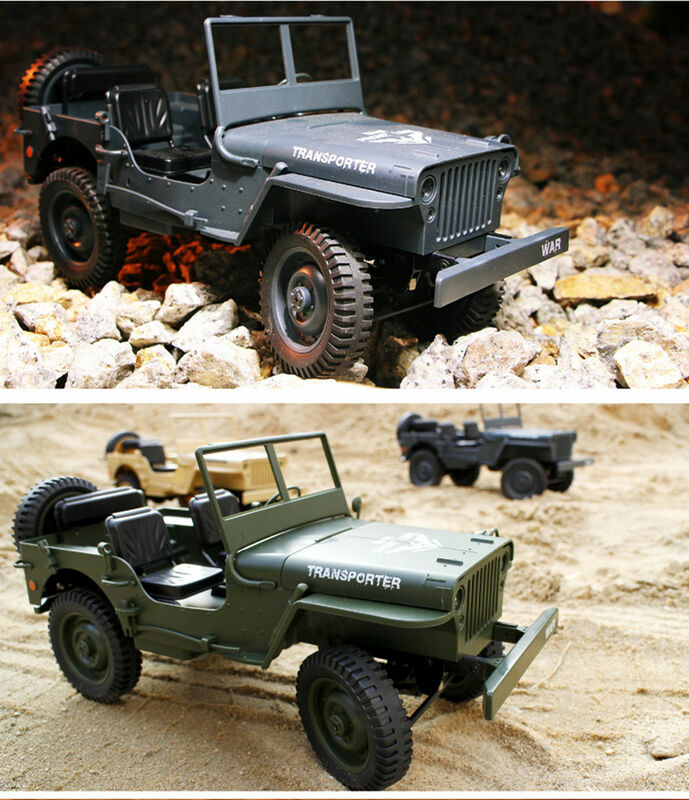 JJRC Q65 Transporter-6 RC Car Military Truck equipped with top-class differential devices including high, medium, and slow speed, the high-speed with a more stable and durable operation can be used in all-terrain races. he 1/10 Electric Powered Crawler is equipped with a brushed motor and a lot of metal parts to make sure the construction solidly. 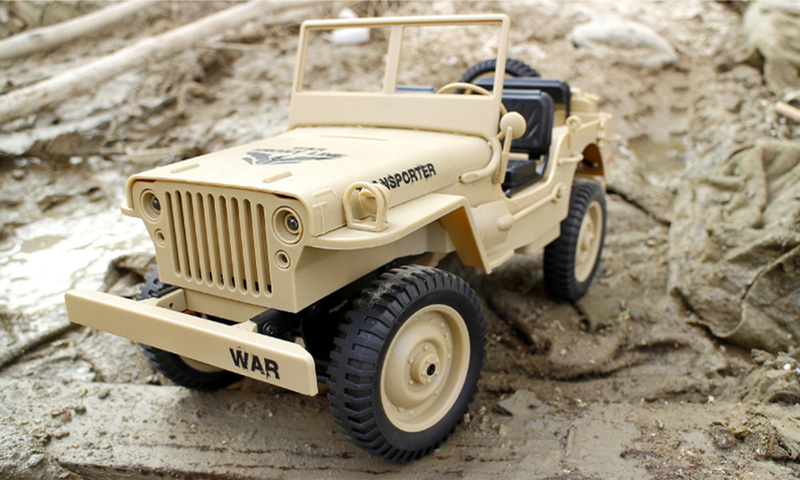 This monster has their own radio control system which is wirelessly remote control with 2.4GHz, 2.4G technology supporting high-speed cars racing simultaneously, a range of remote control of about 50-60m, transmitter power of this crawler car is 4 * 2 X 1.5V AA(Not Included), built-in rechargeable 4.8V 500mAh with racing time about 15 mins. 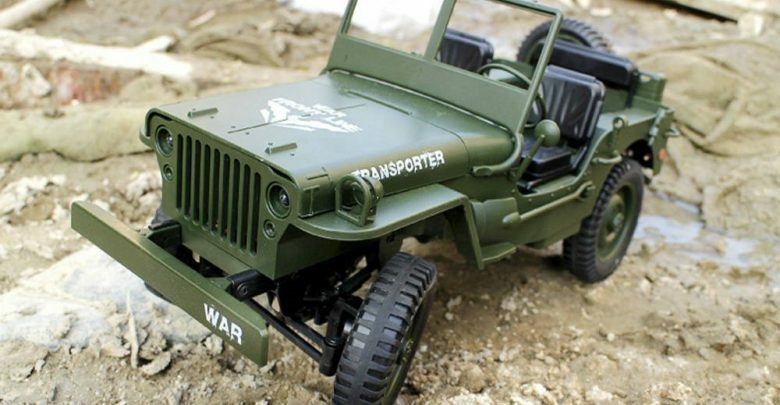 The JJRC Q65 Transporter-6 RC Car Military Truck with unique design and outstanding appearance is equipped with durable and well-designed tires and wheels to provide high speed and stable running performance. 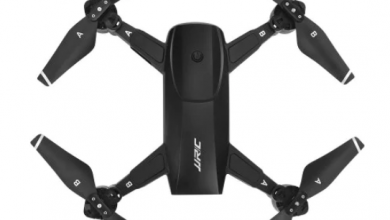 With the 2.4GHz radio control system, two or more RC vehicles can be racing together without remote confusion.